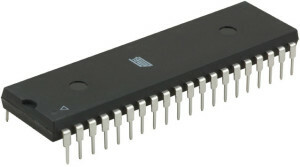 The 8051 Microcontroller was designed in 1980’s by Intel. Its foundation was on Harvard Architecture and was developed principally for bringing into play in Embedded Systems. At first it was created by means of NMOS technology but as NMOS technology needs more power to function therefore Intel re-intended Microcontroller 8051 employing CMOS technology and a new edition came into existence with a letter ‘C’ in the title name, for illustration: 80C51. 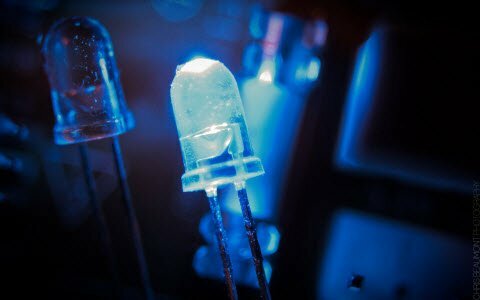 These most modern Microcontrollers need fewer amount of power to function in comparison to their forerunners. There are two buses in 8051 Microcontroller one for program and other for data. As a result, it has two storage rooms for both program and data of 64K by 8 size. The microcontroller comprise of 8 bit accumulator & 8 bit processing unit. It also consists of 8 bit B register as majorly functioning blocks and 8051 microcontroller programming is done with embedded C language using Keil software. It also has a number of other 8 bit and 16 bit registers. For internal functioning & processing Microcontroller 8051 comes with integrated built-in RAM. This is prime memory and is employed for storing temporary data. It is unpredictable memory i.e. its data can get be lost when the power supply to the Microcontroller switched OFF. There are many applications with 8051 microcontroller. So, 8051 Microcontroller Projects have great significance in Engineering final year. As you may be familiar that Central Processor Unit or CPU is the mind of any processing machine. It scrutinizes and manages all processes that are carried out in the Microcontroller. User has no power over the functioning of CPU. It interprets program printed in storage space (ROM) and carries out all of them and do the projected duty. CPU manages different types of registers in 8051 microcontroller. As the heading put forward, Interrupt is a sub-routine call that reads the Microcontroller’s key function or job and helps it to perform some other program which is extra important at that point of time. The characteristic of 8051 Interrupt is extremely constructive as it aids in emergency cases. Interrupts provides us a method to postpone or delay the current process, carry out a sub-routine task and then all over again restart standard program implementation. The Micro-controller 8051 can be assembled in such a manner that it momentarily stops or break the core program at the happening of interrupt. When sub-routine task is finished then the implementation of core program initiates automatically as usual. There are 5 interrupt supplies in 8051 Microcontroller, two out of five are peripheral interrupts, two are timer interrupts and one is serial port interrupt. Micro-controller needs a program which is a set of commands. This program enlightens Microcontroller to perform precise tasks. These programs need a storage space on which they can be accumulated and interpret by Microcontroller to act upon any specific process. 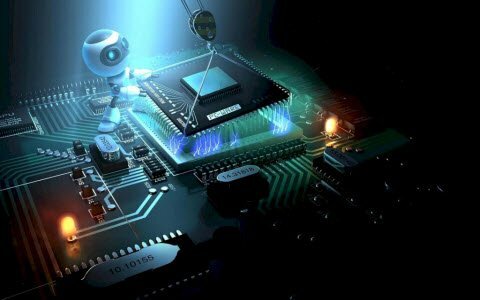 The memory which is brought into play to accumulate the program of Microcontroller is recognized as Program memory or code memory. In common language it’s also known as Read Only Memory or ROM. Microcontroller also needs a memory to amass data or operands for the short term. The storage space which is employed to momentarily data storage for functioning is acknowledged as Data Memory and we employ Random Access Memory or RAM for this principle reason. 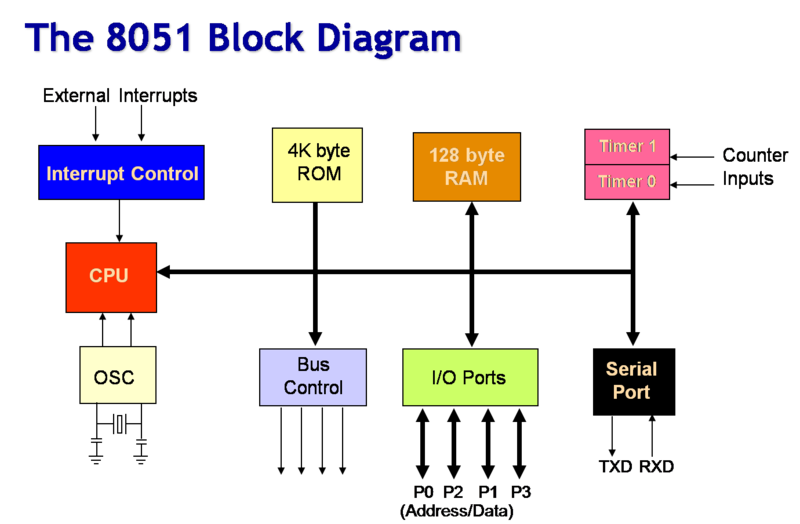 Microcontroller 8051 contains code memory or program memory 4K so that is has 4KB Rom and it also comprise of data memory (RAM) of 128 bytes. 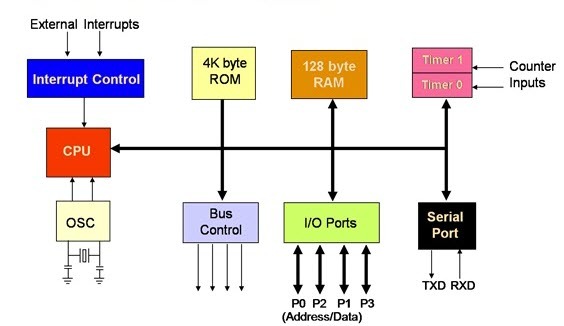 Address Bus: Microcontroller 8051 consists of 16 bit address bus. It is brought into play to address memory positions. It is also utilized to transmit the address from Central Processing Unit to Memory. Data Bus: Microcontroller 8051 comprise of 8 bits data bus. It is employed to cart data. 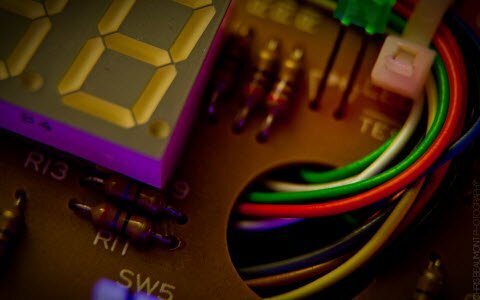 As we all make out that Microcontroller is a digital circuit piece of equipment, thus it needs timer for its function. For this function, Microcontroller 8051 consists of an on-chip oscillator which toils as a time source for CPU (Central Processing Unit). As the productivity thumps of oscillator are steady as a result, it facilitates harmonized employment of all pieces of 8051 Microcontroller. Input/output Port: As we are acquainted with that Microcontroller is employed in embedded systems to manage the functions of devices. Thus to gather it to other machinery, gadgets or peripherals we need I/O (input/output) interfacing ports in Micro-controller. For this function Micro-controller 8051 consists of 4 input/output ports to unite it to other peripherals.Timers/Counters: Micro-controller 8051 is incorporated with two 16 bit counters & timers. The counters are separated into 8 bit registers. The timers are utilized for measuring the intervals, to find out pulse width etc. Pins 1 – 8:- recognized as Port 1. Different from other ports, this port doesn’t provide any other purpose. Port 1 is a domestically pulled up, quasi bi directional Input/output port. Pin 9:- As made clear previously RESET pin is utilized to set the micro-controller 8051 to its primary values, whereas the micro-controller is functioning or at the early beginning of application. The RESET pin has to be set elevated for two machine rotations. 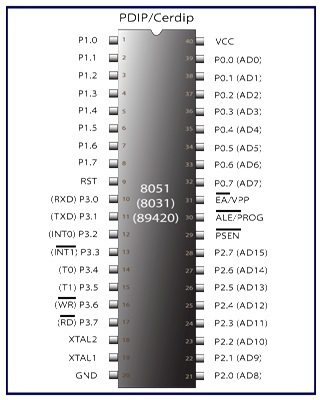 Pins 10 – 17:- recognized as Port 3. This port also supplies a number of other functions such as timer input, interrupts, serial communication indicators TxD & RxD, control indicators for outside memory interfacing WR & RD, etc. This is a domestic pull up port with quasi bi directional port within. Pins 18 and 19:- These are employed for interfacing an outer crystal to give system clock. Pin 20:- Titled as Vss – it symbolizes ground (0 V) association. Pins- 21-28:- recognized as Port 2 (P 2.0 – P 2.7) – other than serving as Input/output port, senior order address bus indicators are multiplexed with this quasi bi directional port. Pin- 29:- Program Store Enable or PSEN is employed to interpret sign from outer program memory. 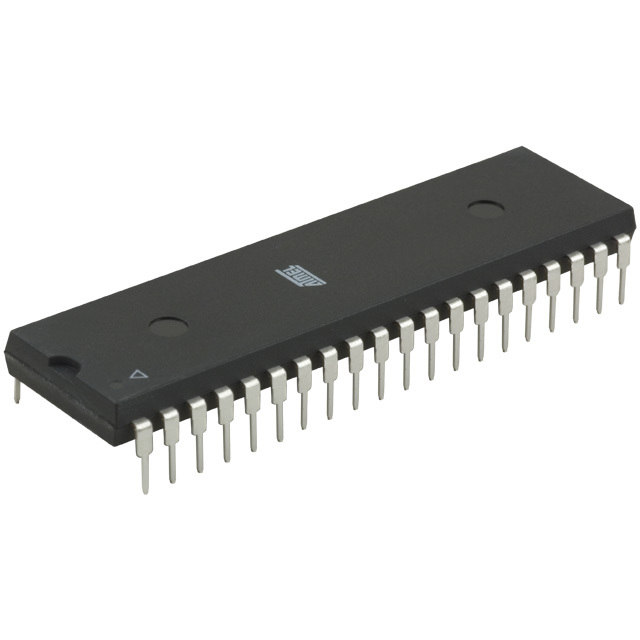 Pin-30:- External Access or EA input is employed to permit or prohibit outer memory interfacing. If there is no outer memory need, this pin is dragged high by linking it to Vcc. Pin-31:- Aka Address Latch Enable or ALE is brought into play to de-multiplex the address data indication of port 0 (for outer memory interfacing). Two ALE throbs are obtainable for every machine rotation. Pins 32-39: recognized as Port 0 (P0.0 to P0.7) – other than serving as Input/output port, low order data & address bus signals are multiplexed with this port (to provide the use of outer memory interfacing). This pin is a bi directional Input/output port (the single one in microcontroller 8051) and outer pull up resistors are necessary to utilize this port as Input/output. 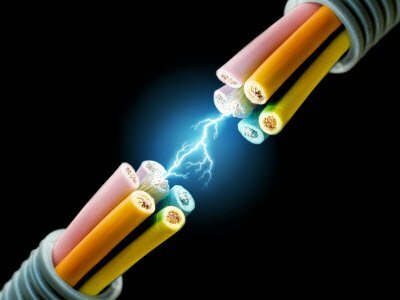 Pin-40: termed as Vcc is the chief power supply. By and large it is +5V DC. Energy Management: Competent measuring device systems aid in calculating energy consumption in domestic and industrialized applications. These meter systems are prepared competent by integrating microcontrollers. 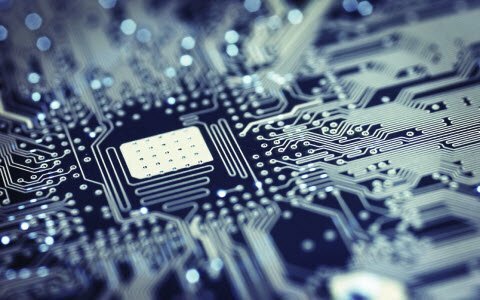 Touch screens: A high degree of microcontroller suppliers integrate touch sensing abilities in their designs. Transportable devices such as media players, gaming devices & cell phones are some illustrations of micro-controller integrated with touch sensing screens. 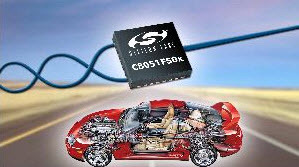 Automobiles: The microcontroller 8051 discovers broad recognition in supplying automobile solutions. They are extensively utilized in hybrid motor vehicles to control engine variations. In addition, works such as cruise power and anti-brake mechanism has created it more capable with the amalgamation of micro-controllers. Medical Devices: Handy medicinal gadgets such as glucose & blood pressure monitors bring into play micro-controllers, to put on view the measurements, as a result, offering higher dependability in giving correct medical results. 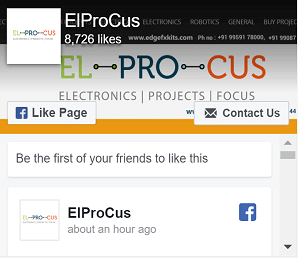 Hi Hardeep, Please check the user friendly website https://www.elprocus.com for project ideas on all the latest technologies. We need bulk projects including Documentation, ppts, related H/W etc. Please respond with full details of each project. We urgently need the following projects. 1. Voice paging for Blind people. (B.Tech., Embedded). 2. Sequence Hopping Cell search for OFDM based cellular systems(M.Tech., Matlab simulation). 3. DEVELOPMENT AND VLSI IMPLEMENTATION OF EFFICIENT DISCRETE WAVELET TRANSFORM ARCHITECTURE. (matlab simulation). 4. Simulation of Furnace Cascade PID Control System Based on Matlab / Simulink (M.Tech Matlab / Simulink). 5.The Fuzzy PID Control System for Superheated Steam Temperature of Boiler (M.Tech Matlab / Simulink ). Please send the details of the projects as early as possible. Hi, Thanks for your interest towards our projects. Our team will contact you soon and will send all those details to you very soon.